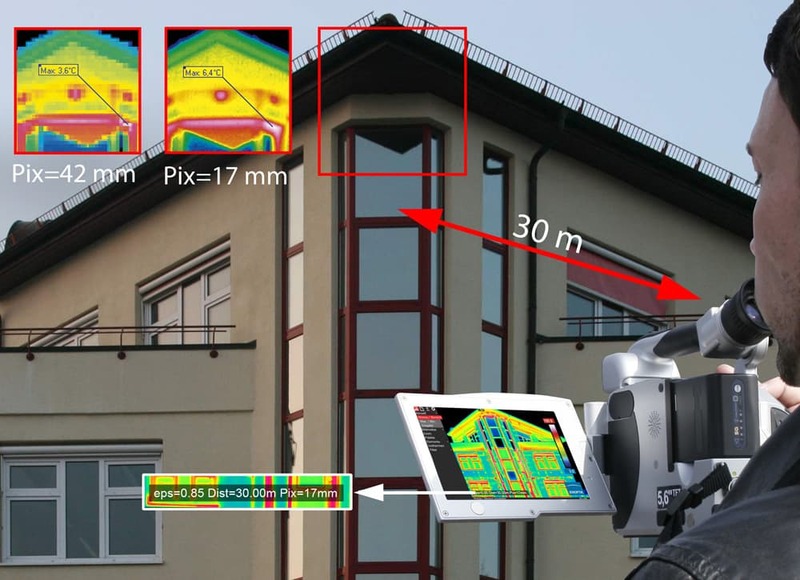 The geometric resolution of the thermal imaging system plays an essential role in the quality assurance in production processes, research and development as well as in the building thermography or maintenance. If the detector resolution is too low, there is the threat that critical temperatures cannot be recognized. 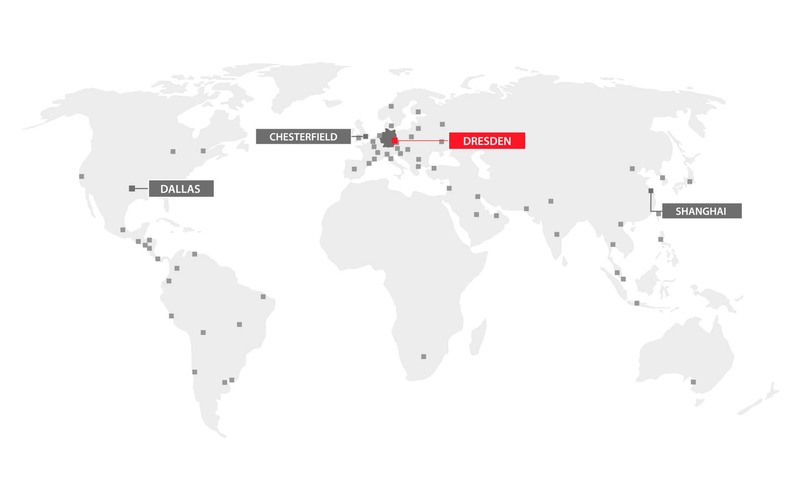 The new camera model VarioCAM® High Definition offer four IR image formats to choose from. The new available detector format with (640×480) IR pixels for this camera series represents the entry to professional thermography. In addition, the models with the detector format of (1,024 × 768) IR pixels provide more than 2.5 times higher pixel resolution and therefore, have currently one of the best native resolutions along radiometric microbolometer infrared cameras. Due to the integrated MicroScan unit, additional image formats of (1,280×960) or (2,048×1,536) IR pixels are possible. In addition to various image formats, the VarioCAM® High Definition is also available in the mobile equipment lines "inspect" and "research" as well as the stationary option "head". Due to their range of models, the cameras are suitable for operation in almost all application fields. The all-rounder camera impresses not only with highest image quality, but also with extremely high frame rates of up to 240 Hz, as well as the excellent handling. For the high-speed image transfer to the PC, GigE interface is available. Single images or fast IR sequences can be alternatively stored on a SDHC card. The new innovative opto-mechanical MicroScan technology enables much higher frame rates than before. Therefore, the IR resolution can be increased to up to 3.15 megapixels if the native detector resolution is quadrupled. This is not a simple interpolation method, but real temperature readings are being scanned opto-mechanically. The combination of the excellent thermal resolution of less than 30 mK and bright precision optics, helps to produce sharp and crystal clear thermal images. Therefore, high demanding tasks can be resolved quickly with the camera. Which was previously only possible with a considerable time effort. Large-scale measruring objects, such as photovoltaic systems, can be measured thermographically in a reliable and efficient way likewise as objects that require a safety distance such as high-voltage facilities. With the innovative EverSharp function all object structures in the image scene are displayed sharply, regardless of how far they are away from the camera or which lens is used. 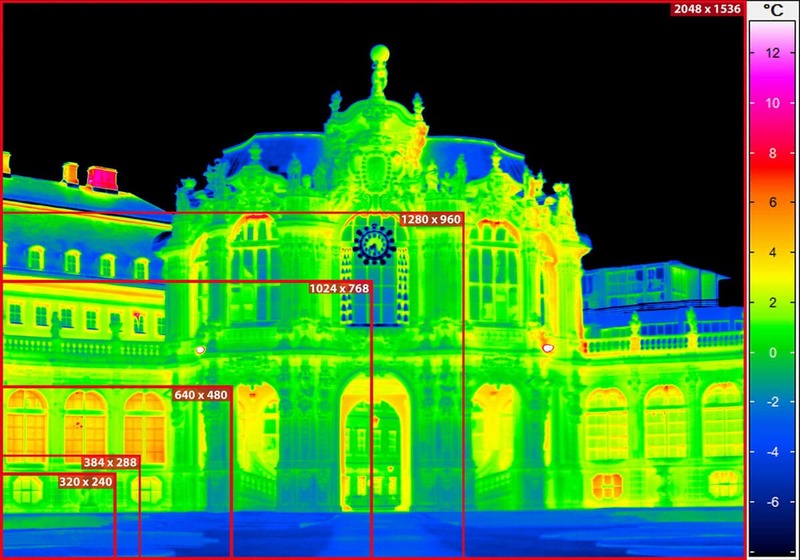 Thermal images with different focus settings are combined automatically by means of special algorithms, so that only the sharp displayed object structures are shown in the resulting thermal image. As a result, the recorded objects in the detailed thermal images are characterised by high image quality. In case of a scene change, the optimal usable integrated permanent autofocus function applies the optimum focus setting accurately, independently and fast. Annoying blurred images are now finally in the past. The integrated laser rangefinder calculates the distance-dependant spot size and the resulting, error-free measurable, object size and displays it in the daylight-readable, large colour TFT screen of the camera. This allows the user to identify the remaining allowable distance to the measurement object accurately, in order to avoid geometric measurement errors.